Looks pretty clear to me, which is a bummer because I love Trout and don’t want the national media questioning the awesomeness of what he did. 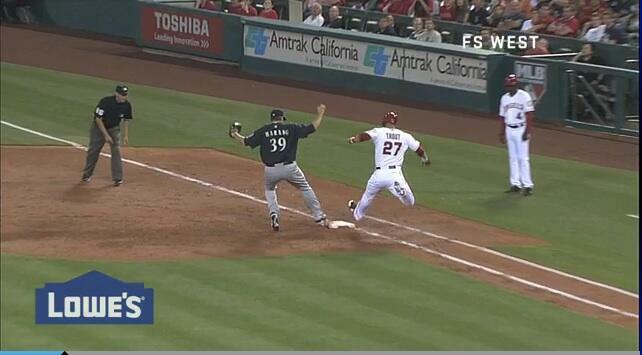 We do, however, need to hold the umpires and Selig accountable. In addition there was some confusion on how this feat of Trout’s played out in the history books… since he was safe at first and all. Arky Vaughn and Cesar Cedeno, huh? Turns out that ESPN was correct. MLB? Not so much. 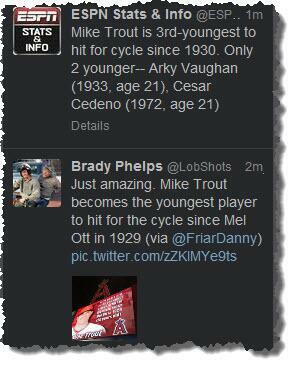 That fun little ‘whoops’ from the @Angels and @MLB twitter feeds led them to delete their tweets suggesting he was the youngest since Ott to hit for the cycle. 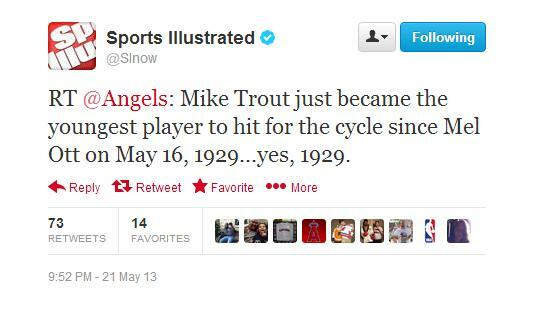 Sports Illustrated even retweeted the false information. 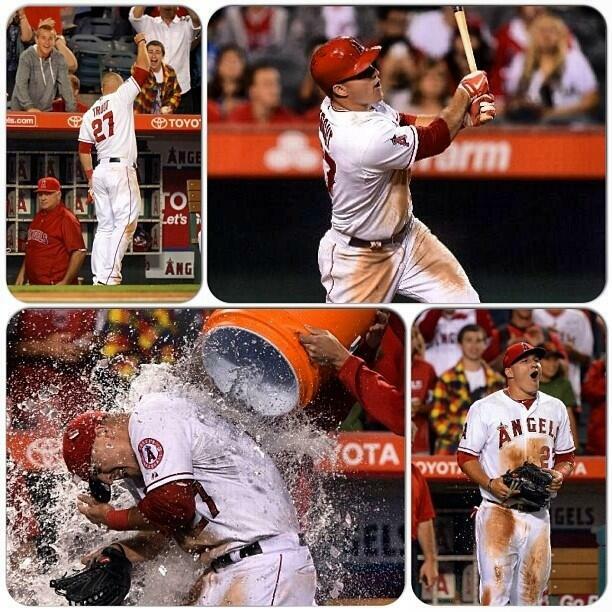 Happens to the best of us… either way, congrats Trouty. 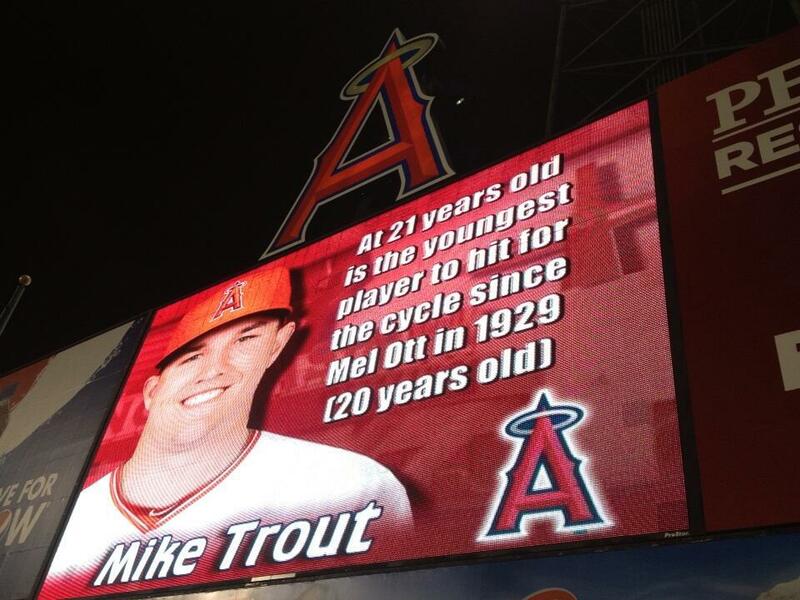 This entry was posted in Baseball, MLB and tagged Angels, angels twitter, mike trout, mike trout cycle, mlb twitter, padres have never hit for the cycle, what mike trout out at first on the cycle?. Bookmark the permalink.